It's been a little while since my last blog post which doesn't mean I haven't been busy, just behind on posting up pictures and updates. So, here is my latest build which sort of snuck in under the radar while a few other frames are undergoing paint and restoration. 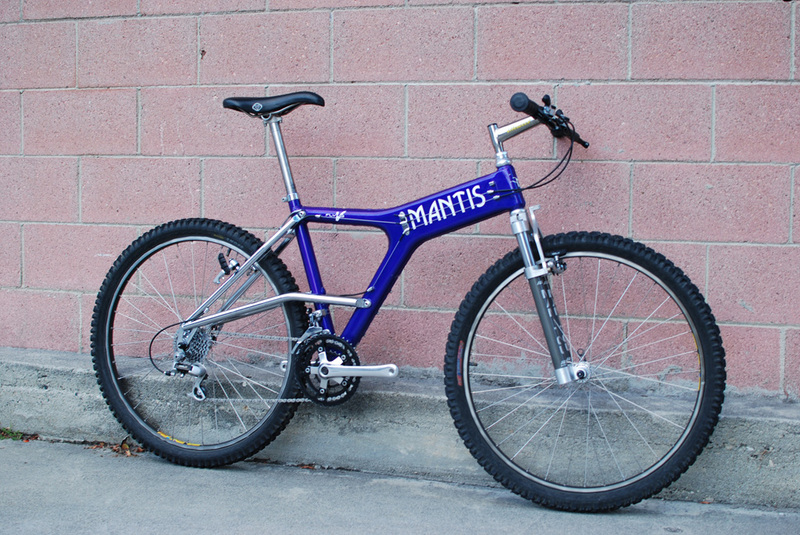 This Mantis Flying V was actually slated to be my personal bike. 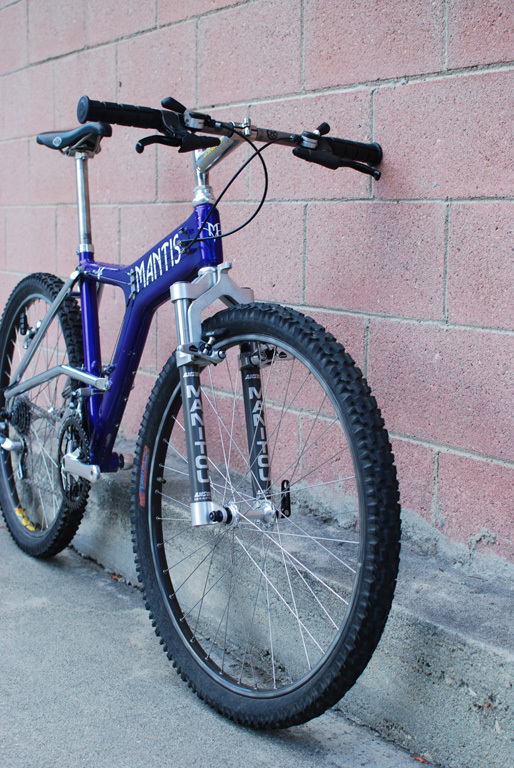 I've been after one for a long time, and have been working on getting this bike for over a year but ultimately it's just too small for me. No matter how much I try I just won't be able to ride it effectively. So, now it's moving to Italy where it will be properly enjoyed. 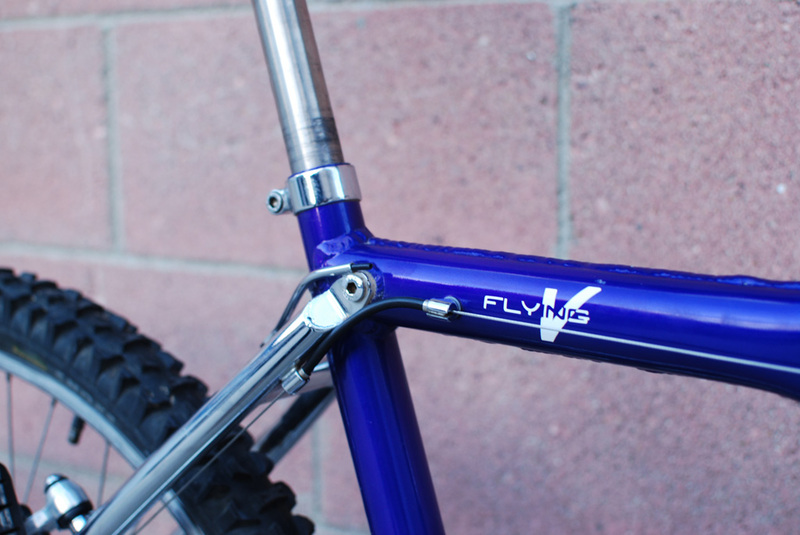 The build for this bike is relatively straightforward and has come together fairly quickly. 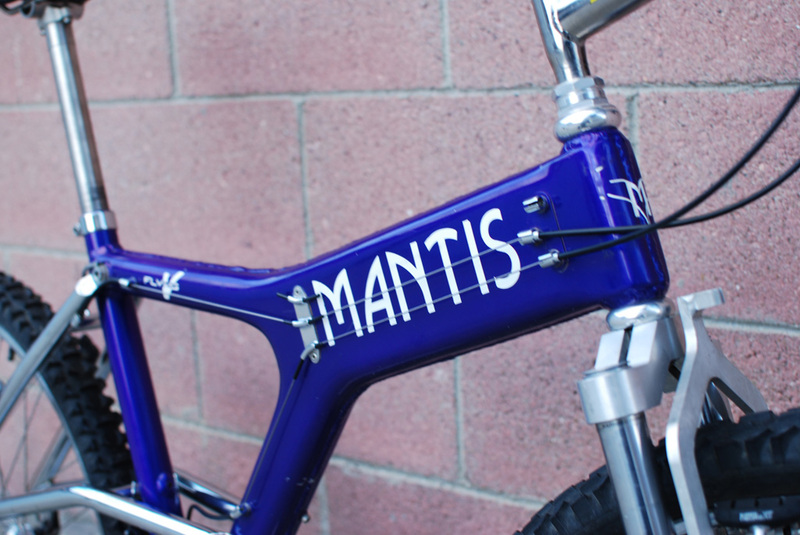 Unfortunately this frame didn't come with a Mantis fork so I opted for a Manitou 1 in its place. The Manitou fork has been thoroughly overhauled with brand new elastomers and even after 20+ years of service works surprisingly well. 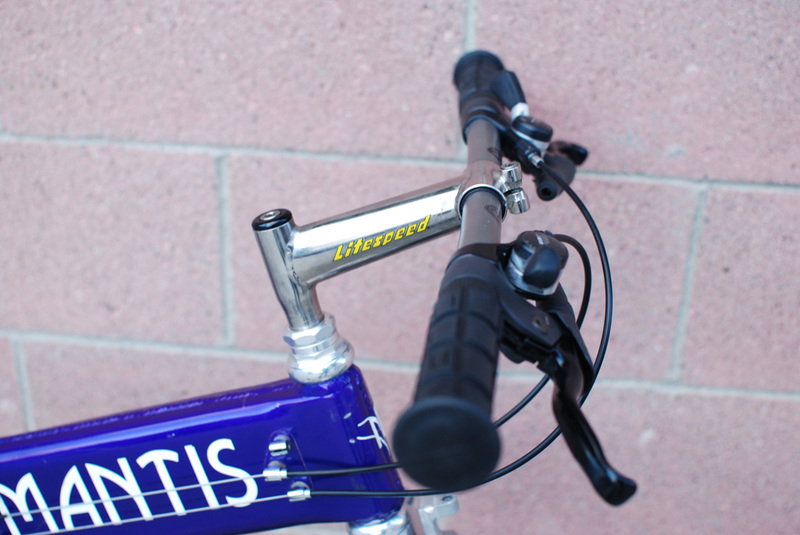 Titanium Litespeed stem, Bontrager/Titec handlebar (technically too new, but it works) and NOS Chris King headset shave some weight off the front end and add to the bling factor. 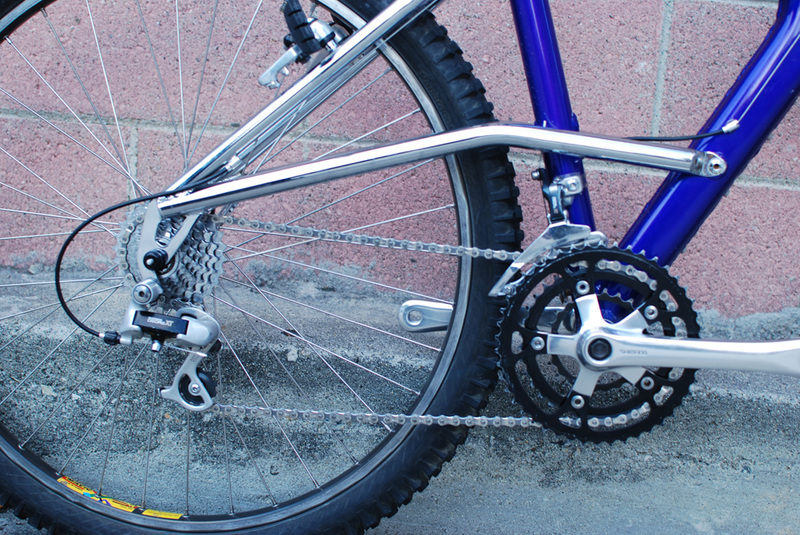 Drivetrain is Shimano XT with freshly refurbished cranks, XT hubs laced to very nice 231CD rims sheathed in black wall Dart/Smoke tires. 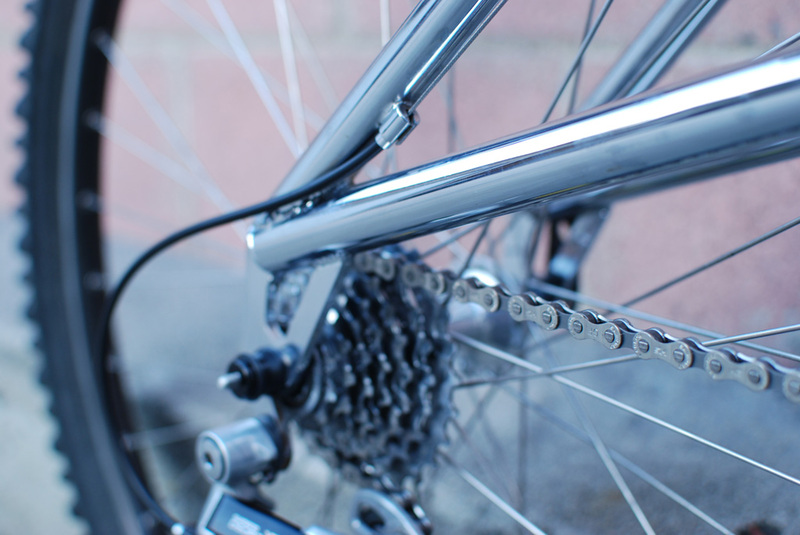 As soon as I polish up some correct M732 XT brakes the bike will be done. 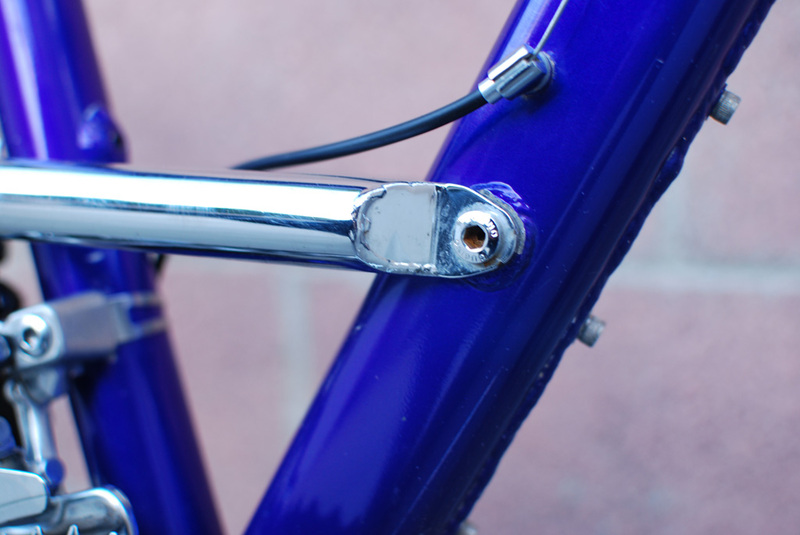 I love the little details like rotating cable guides, cable routing tubes and the formed end caps for the bolt on rear section. 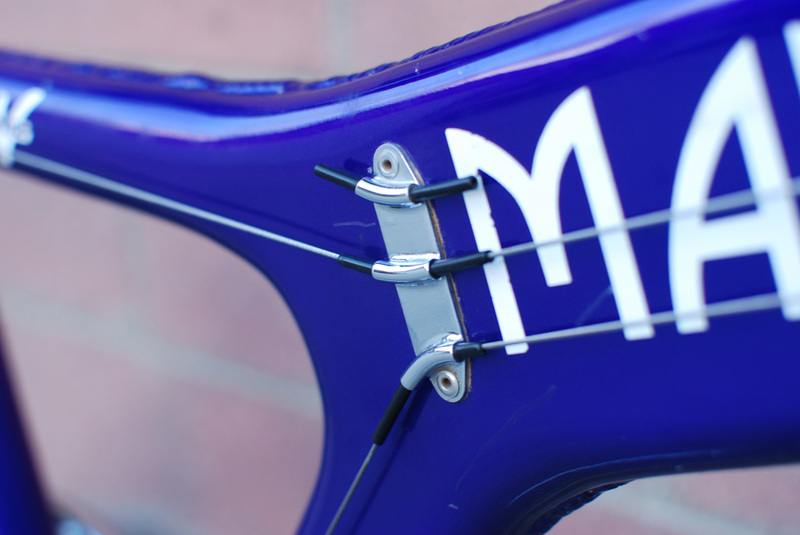 I was never musically inclined in any way, but I think there is a good reason why Richard called this bike the Flying V in homage to the 1950s/60s Gibson design, right down to the fret like cable routing. 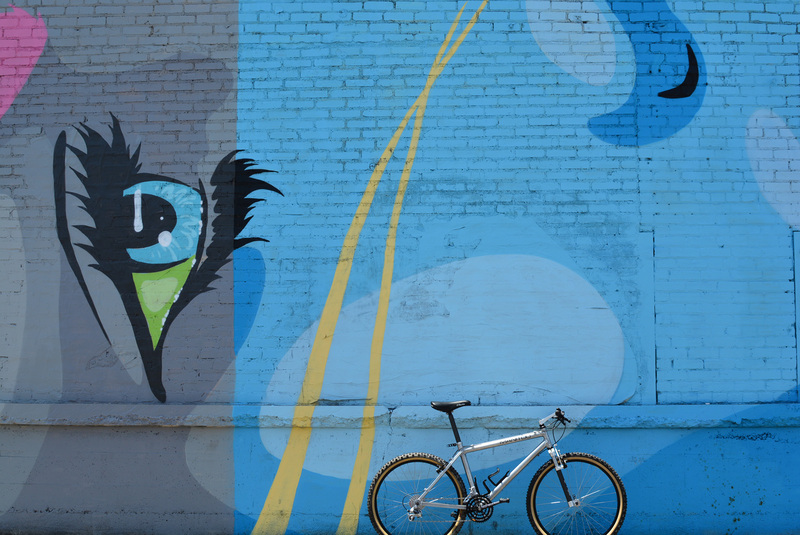 In my opinion the most awesome bike of ever, for the riding feeling and for the frame shape. Italy? the new land of Mantis!